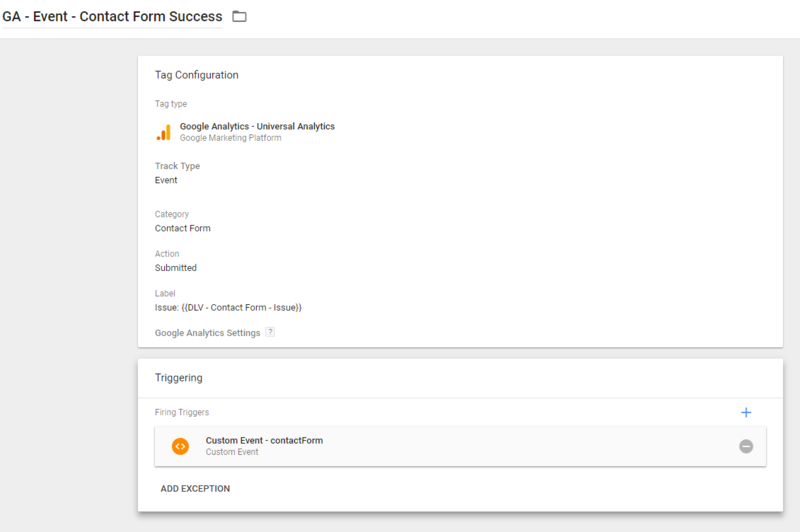 Track your WordPress ContactForm7 submissions and improve user experience with our Google Tag Manager and Google Analytics custom event script. If you’re a user of WordPress, you’ve probably come across ContactForm7 or CF7 for short. It’s a very popular and free contact form extension which allows you to build custom forms for your wordpress site with ease. Under the hood, there are a few excellent hidden features which allow you to expose usage information. 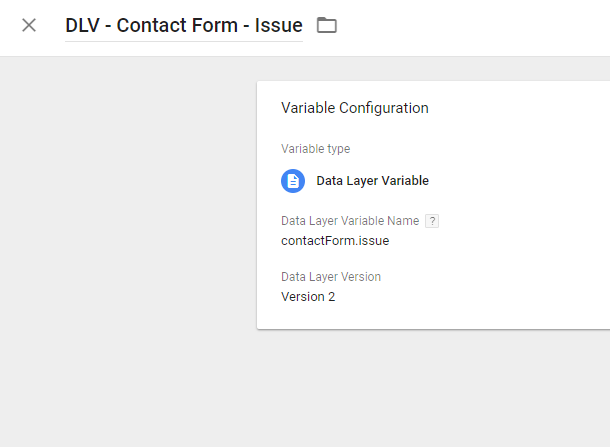 With a little bit of scripting magic, this extra layer of information can be used within Google Analytics to better understand how your contact form is being used. Example: Note: Not required, but we’ve have locked this script down to only fire on the contact page. Since this is only a temporary step, you can use the built-in All Pages trigger. The idea here is to figure out the names of the fields you wish to pass through to Google Tag Manager & Google Analytics. For this example, I want to grab the issue field so I can figure out which support issues seem to be the most common. We’ll use this in the next steps. We’re going to extend the initial script to contain a function which will lookup a requested name and return its’ value. Or, if the field name is incorrect, return as undefined. 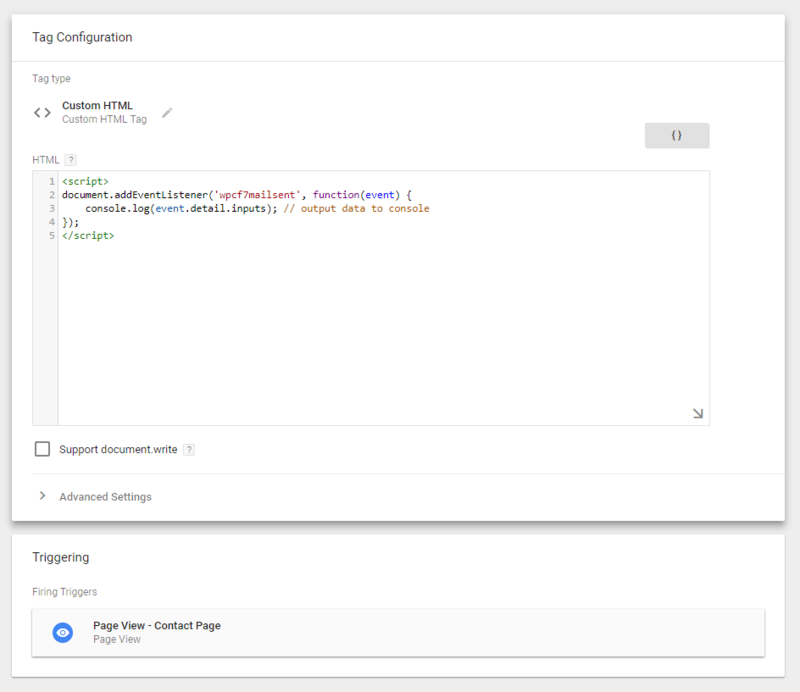 Next, we need to add the Data Layer push which includes the values we wish to use in Google Tag Manager. Once you’ve pinpointed the fields you need based on their names and you’ve added them to the Data Layer code, you’re nearly ready to go! Here’s the full script minus the original console.log(event.detail.inputs) – we don’t need this in the production version of the script as it was for reference only. We need to make a trigger which will watch for form submissions. Tip 1: If you’re handling a lots of important fields which you’d like to track – it would be more efficient to set up custom dimensions within your Google Analytics Property and pass through each field using a top-level Form Submission event instead. However, there are limits on custom dimensions – so think strategically before doing this as you could end up using your allotment of custom dimensions very quickly.Tip 2:Don’t add personally identifiable information (PII) into Google Analytics. This is strictly forbidden and may result in your account being closed down. This process is designed to enhance user experience by understanding how your users are interacting with your forms.Do you need help implementing your form submission data into Google Analytics? Let’s chat.